Indole-3-carbinol (I3C) is a promising anticancer dietary compound, which inhibits breast cancer in animal models. The objective of the current study was to characterize I3C-induced cell death in a panel of human breast tumorigenic cells (MCF7, MDA-MB-468, MDA-MB-231 and HBL100) in comparison with normal fibroblasts. Since epithelial cells are protected from cell death by a three-dimensional environment, 3D cell culture (collagen I gel and spheroids) was employed to investigate susceptibility to I3C. Cell viability in the presence of 256 μM I3C, a concentration close to the physiologically achievable range, was in the order fibroblasts = HBL100>MDA-MB-231>MCF7>MDA-MB-468 in monolayer culture. However, 3D culture conditions increased the susceptibility of MCF7 and MDA-MB-468 cancer cells towards I3C. 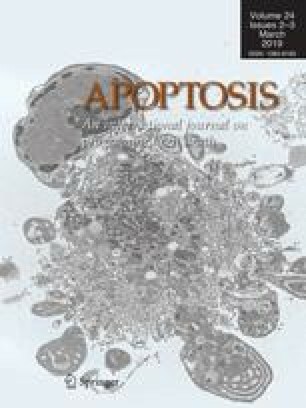 I3C induced cell death in breast cancer MCF7, MDA-MB-468 and MDA-MB–231 cells via the mitochondrial apoptotic pathway. I3C significantly reduced levels of epidermal growth factor receptor (EGFR) in MDA-MB-468 after 6 h and in MDA-MB-231 and HBL100 cells after 30 h. Downregulation of EGFR in MDA-MB468 and MDA-MB-231 cells using an EGFR inhibitor resulted in apoptosis. EGFR modulation using EGF or an EGFR inhibitor markedly influenced viability and response to I3C in MDA-MB-468 cells in 3D conditions. EGFR expression was modulated by 3D conditions. Therefore, I3C-induced EGFR reduction in these cells is likely to be responsible for I3C-induced apoptosis.